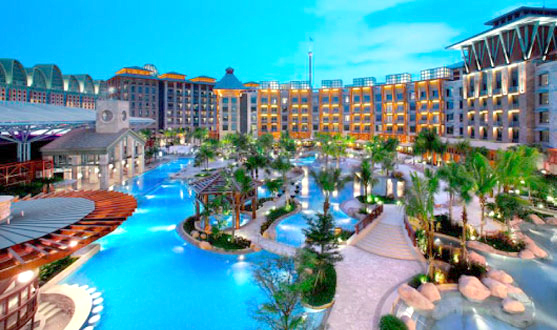 Arrive at Changi International Airport, and transfer on seat in coach basisto the hotel of your choice. Check in and relax. You may either relax and explore the city on your own or choose from many options available. Overnight. Breakfast. Begin your day with The Maritime Experiential Museum. Come explore the seas. Be transported through time in 15 thematic galleries, journey in the tailwinds of renowned seafarers, and even flee pirate invaders aboard a burning ship. Not to miss the Shipwreck at Typhoon Theatre. In this multi-sensory simulation enhanced with special effects, you will set sail on board a 9th century vessel that soon runs into a terrifying storm! Experience the drama as the vessel is buffeted by the waves before sinking to the bottom of the sea. 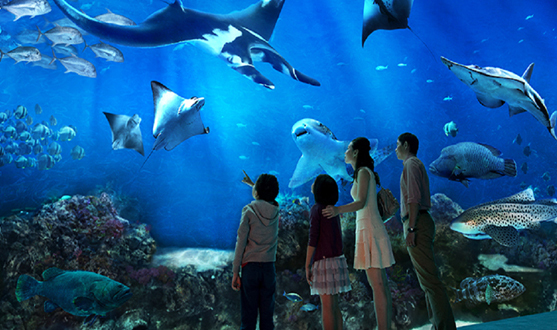 Discover the awe-inspiring world of life in the ocean at the world's largest aquarium. Immerse yourself in a magical marine world. With over 800 species of marine animals, the aquarium is home to majestic manta rays, enormous goliath groupers, Napoleon wrasses, and other gentle giants of the sea. Come face-to-face with sharks, moray eels and discover the endless wonders. 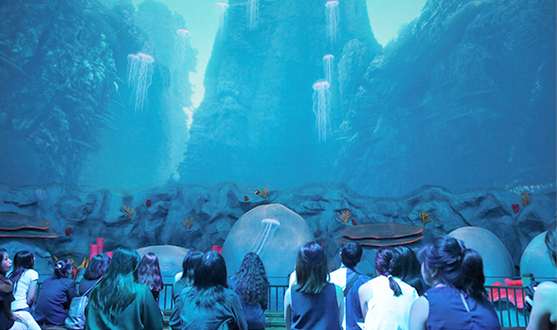 Visit all 10 zones of the aquarium. Return to your hotel. Overnight. Check out and transfer to the airport on SIC basis. 2 nights at accommodation at the hotel of your choice. One day pass at MEM and Typhoon Theatre.